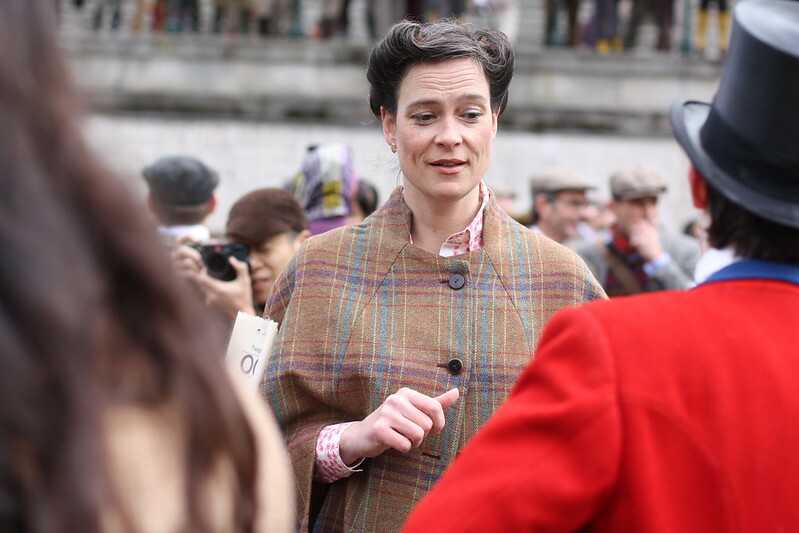 Those of you who have been reading this blog for a while will know that the Tweed Run is one of the highlights of my year. I have only missed one since I first started going (back in April 2010) and that was last year’s, due to me running a half marathon the same day – I went afterwards anyway. 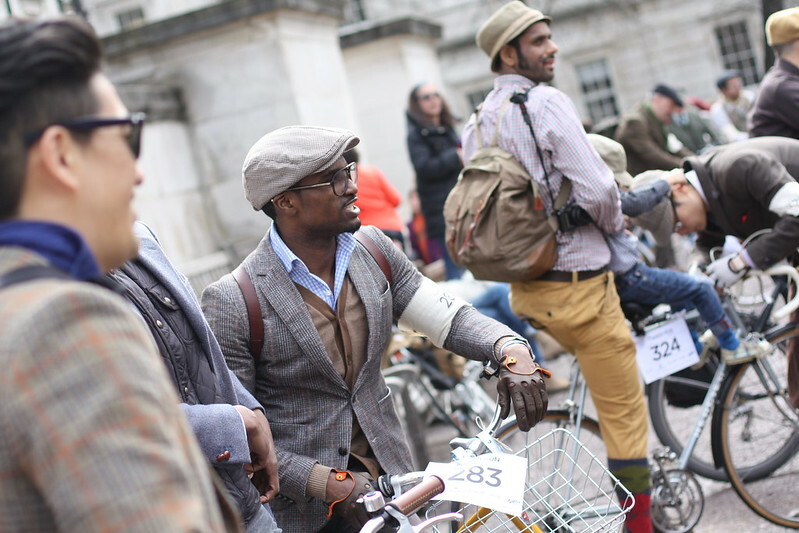 In between then there was the Tweed Run of spring 2011, and the Ralph Lauren Rugby special Tweed Run in November 2011 (some of the photos on those posts are broken, which is annoying). A mere week and a bit ago, it was time to dust off the tweed (or I would if I owned any) and take to the roads on my trusty steel steed once more. 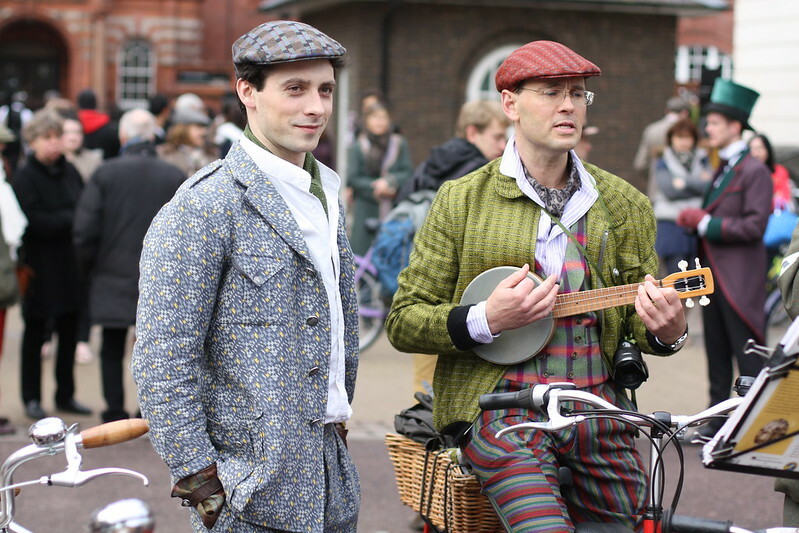 It was the Tweed Run’s 5th birthday and it was marvellous. Firstly, here’s what I wore! These pictures come courtesy of photographer Roxy Erickson, whose Flickr set is stunning and captured the whole day far better than I could! 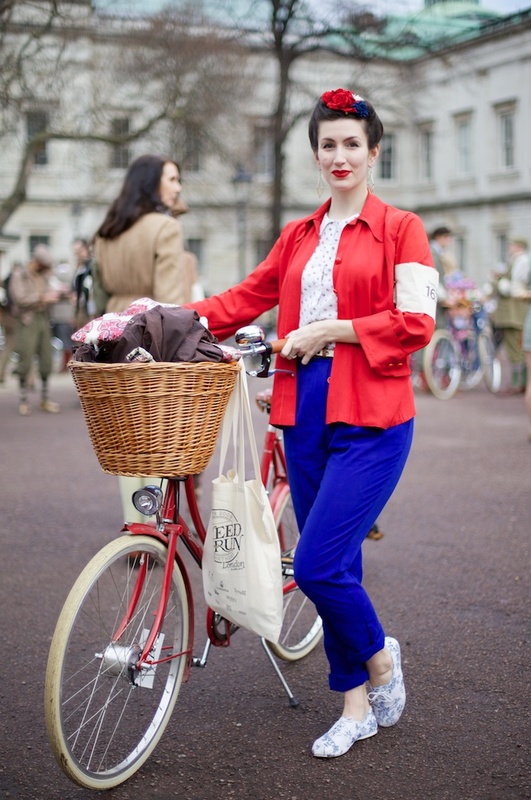 With my fabulous Pashley Britannia! 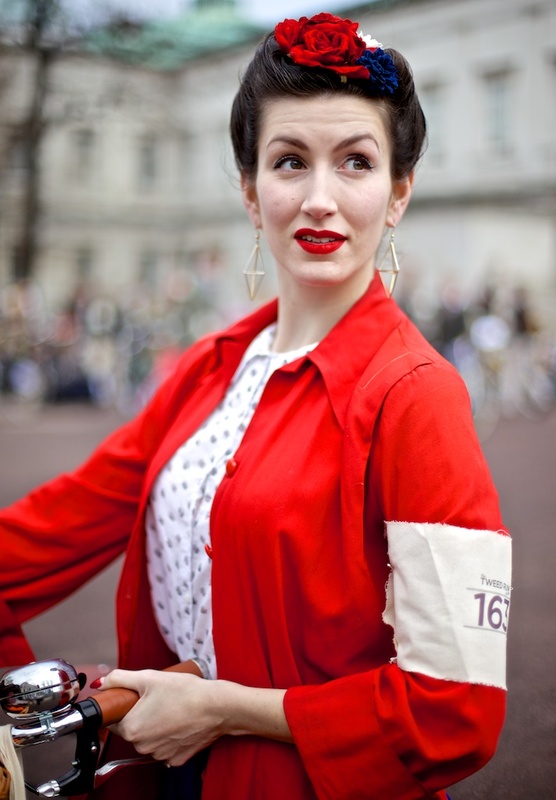 As you can see, I went for a red, white and blue theme, with my American Apparel trousers, red 1940s jacket and a practically vintage H&M blouse. Blue floral pumps for semi-practicality and my trusty Liberty Barbour jacket packed in the basket to shield me from the elements. Rain was forecasted and oh, it came. 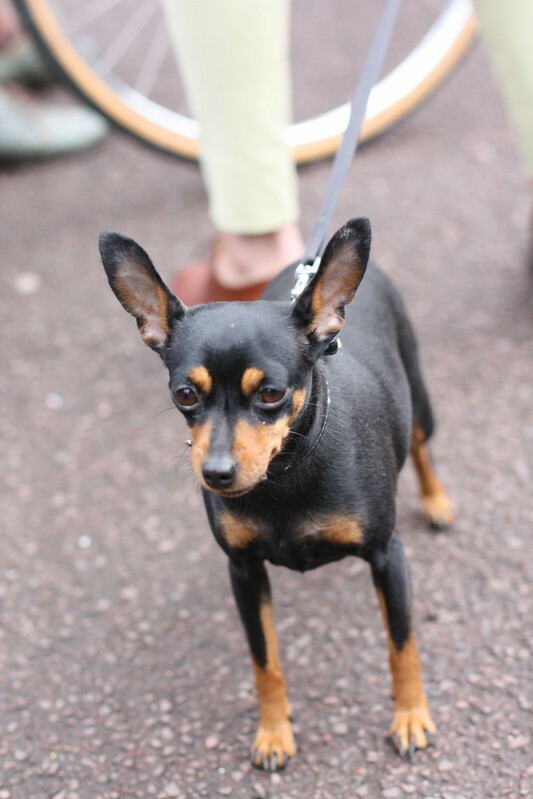 Here are some shots of my day, as captured – badly at times – by me. We got absolutely soaked in the last half hour and, upon entering the pub at the end, was overcome by a tweed miasma… I’ve had a horrible cough since. I think it’s TB. Tweed Bacteria. 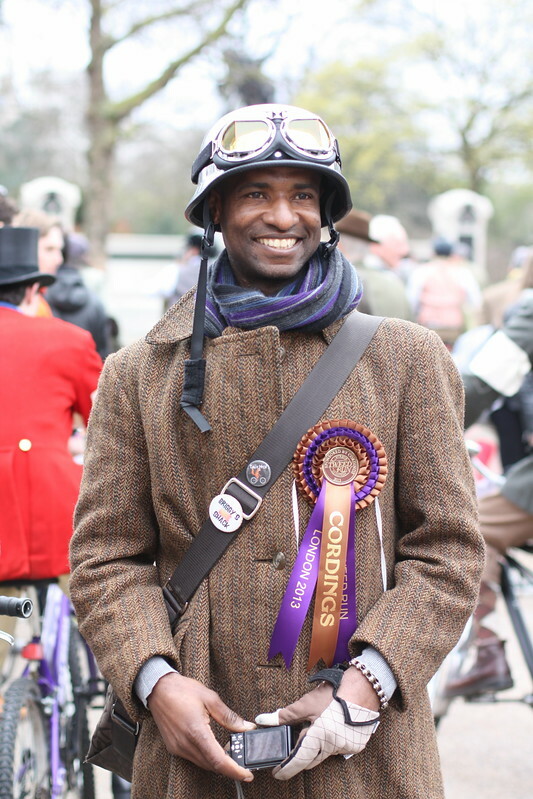 Have you managed to hop along to a tweed ride in your hometown? And if there isn’t one, well… start one yourself! It really is the best way to spend an afternoon (as long as it’s not raining). Mini Me, you complete me! Must arrange an April vacay next year. Barcelona for the Hat Ramble followed by the Tweed Run in London. Wow, everybody is looking so beautiful! What a great event! Everyone looks so smashingly fashionable! 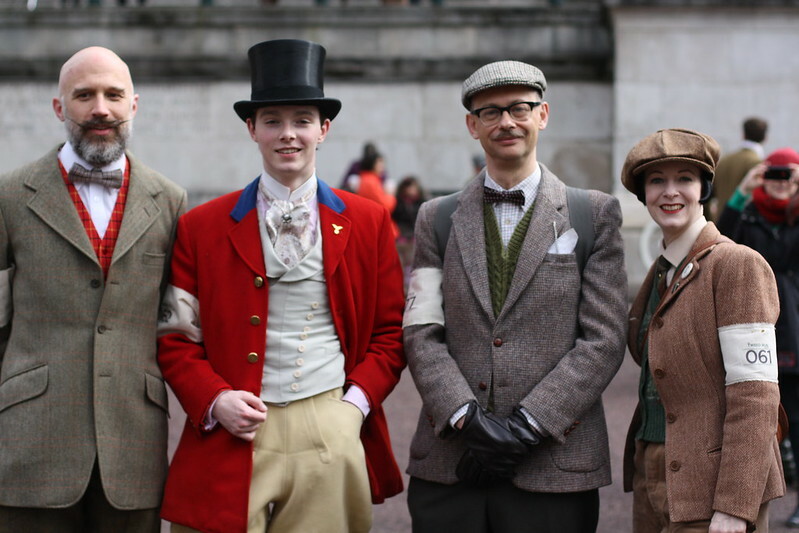 I adore visiting and taking part in the Tweed Run vicariously through marvelous image filled posts like this. How marvelous! Your hair looks so pretty like that. Ooh what a fabulous-looking event – love the red, white and blue colour scheme. 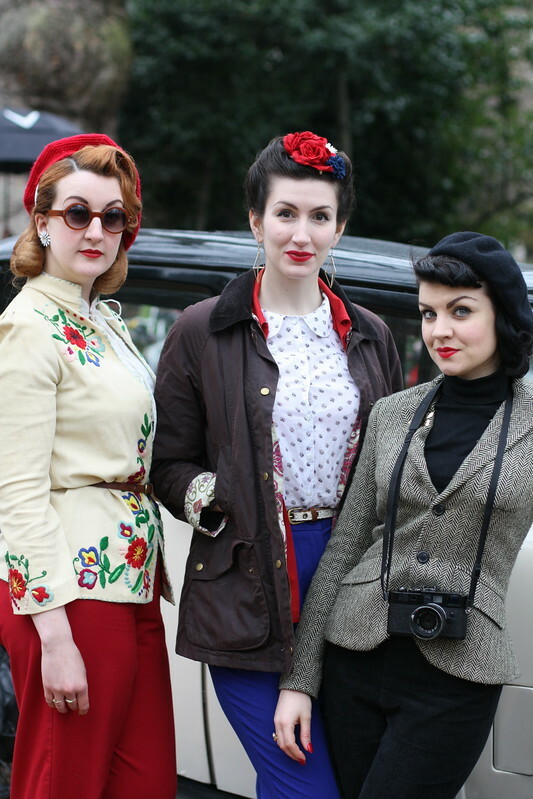 you and the vintage mafia girls look fabulous as always. i wish i was there. 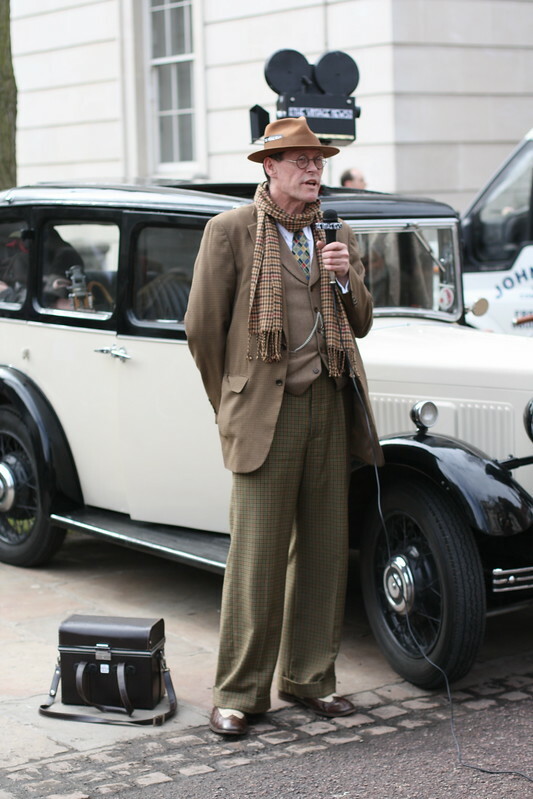 the krauts cant do this things in the right manner……..
Oooh, I always look so forward to your Tweed Run posts!! Wish I was there…. Was this at UCL?! How did I manage to miss it?! You see, this is why I love the British. What a hoot. You all look adorable. I was lucky enough to be there for the third time in a row, it leaves one on a high for days afterwards! This brings back memories of a wonderful day. 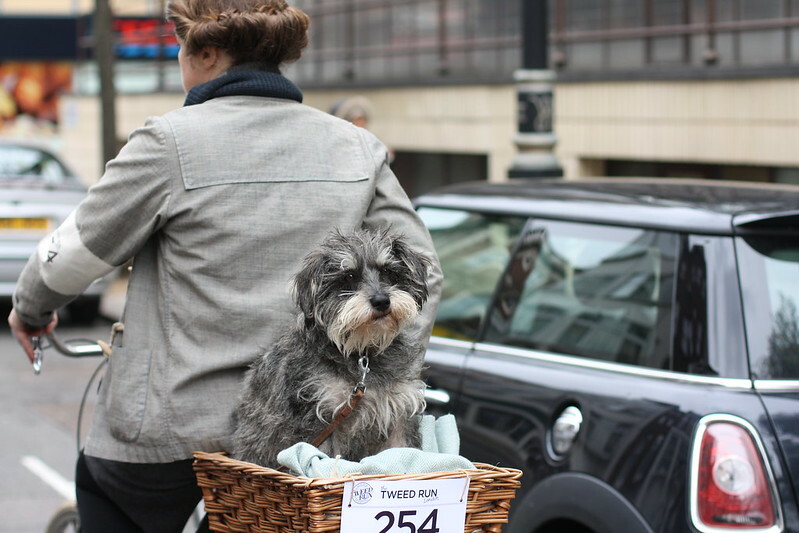 Great photos, I can never get enough of the Tweed Run dogs. I wish I had found out the name of the terrier there with the resigned expression, who was actually rather too big for that basket, I'm amazed he managed to stay in it alright! 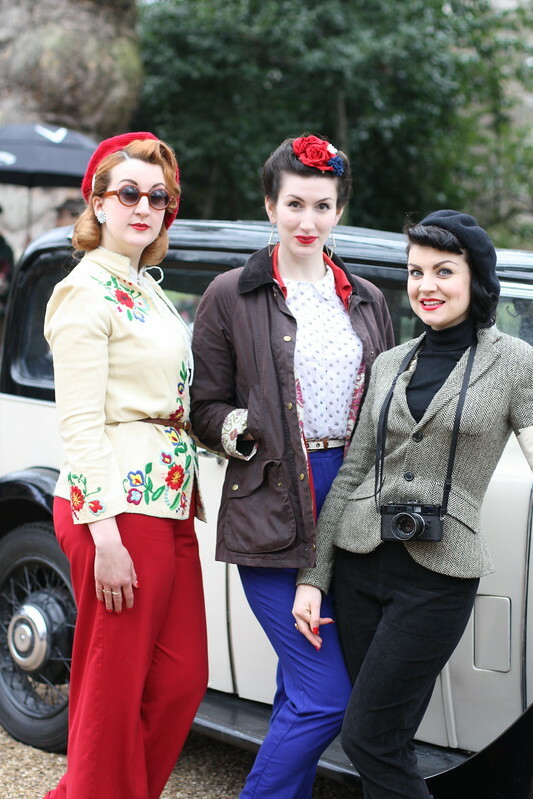 I love seeing photos from events like this, it just looks like so much fun with so many stylish people. I've never been able to balance a bicycle but I'd love to people watch!